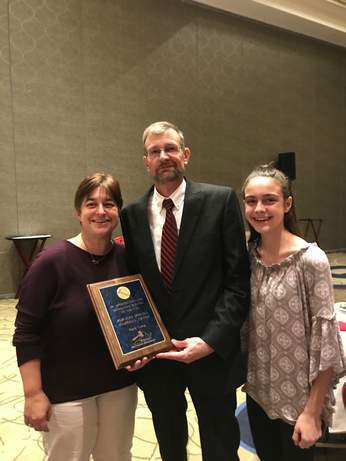 At the 2018 Virginia Auctioneers Association (VAA) annual convention, Mark was honored as the recipient of the Jake Horney Memorial Award. This award is presented to an auctioneer who has dedicated his entire career to the auction profession and the VAA from the shadows, not seeking the limelight. A doer; not a talker. Someone who is always there to do anything and everything for the auction profession. 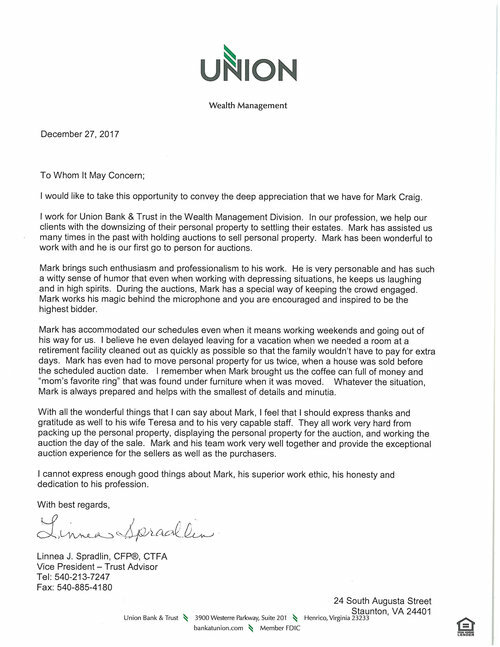 Mark was nominated by a client, Union Wealth Management. Here is the letter that accompanied their nomination. The recipient of this award has a heart of gold! He once met with a lady about an auction but was unable to do it because she needed to be out by the weekend, but he wrote her a check to cover her rent for another month, and still didn’t do the auction. He was told in high school by a teacher that he would never amount to anything in life, but he had the last laugh a few years ago when he sold the teacher’s property. This recipient got his start while in high school selling for the church youth group auction. He had a friend who always said “I have a cow and a calf and a bull and a half; a sheep, a ewe, a buck and a doe; a sow and a boar; now open the door and let them out boys” and Mark would sell them. When it was discussed at the youth meeting about an auction and who they would get to be the auctioneer, someone suggested Mark. Mark said no, but he did sell the first couple of items. Following the auction, Richard Wright approached him and told him that he should go to auctioneer’s school, which he had never heard of. Mark attended Mendenhall School of Auctioneering, graduating in 1993, the summer before he graduated from Fort Defiance High School. 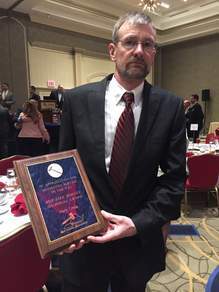 Mark became a Virginia licensed auctioneer in 1995 and worked with several area auctioneers. Following auction school, Mark approached Kendall Bennett about helping him. Mark always says that if it wasn’t for Kendall he probably wouldn’t be where he is today because Kendall was the only auctioneer who would give him a chance. In 2006 he decided to branch out on his own and opened his own auction company with the help of family and friends, while continuing to work a full-time job. In 2013, he switched to auctioning full-time and working part-time at local excavating companies. In 2017 he went the full-time route, conducting 47 auctions and 2018 looks to be just as busy with bookings into April as of now. Mark has been married to Teresa since 2003. They have two children, Marissa and Kaitlyn. Mark has been interviewed by WHSV TV3.